When the Brexit ideology won out in the EU referendum, I was in shock for days. Weeks. In fact, I still can’t quite get my head around it. I was so disheartened that a campaign of lies and fear mongering had won, so afraid of what this decision might mean for our future. I was angry, upset, disillusioned, anxious, fearful. But as I started to shake off the negative torpor that followed I worked hard to not be judgemental of those who believed and had voted differently to me, and to try and live and speak in a way that was respectful and inclusive (whilst retaining the right to express my pretty pissed off self!). I spent a lot of time reminding myself that there are many, many people, of various political leanings, who truly care about the world and their fellow human beings, who live in compassion and honesty with a strong sense of social responsibility – not just for those closest to us, but for all. I reminded myself that I could still be one of those people, regardless of the outcome of the referendum. I honestly didn’t think I’d see another political outcome that would upset me as much. Waking up this morning to the news that Donald Trump was on his way to becoming the next President of the United States I was in total disbelief. I actually felt sick at the thought. How could it be possible that a man who is so wholly offensive, to so many, who actively encourages hate and violence, who is corrupt and dismissive and ignorant and hateful, was about to be offered one of the most powerful positions in the world? It could not be true. And yet it was. It was Brexit all over again, but somehow even worse. I still have no words to describe exactly how this makes me feel. I’m shocked and saddened that so many choose to align themselves with, what seem to me, such abhorrent views. I honestly don’t wish to offend anyone who believes differently to myself, but the problem I’m faced with is that I just can’t understand how demonising or devaluing groups and individuals, because of their race, religion, gender, sexuality or anything else, can be seen positively. Can be used as grounds for political manoeuvring. I just can’t comprehend it. And that seems to me to be all that Trump has stood for throughout his campaign. I have seen no love or compassion or concern for humanity in any of what he has campaigned on. And without those things, who are we? What will we become? I’m fighting once again to remind myself that there is more good than hate in the world. That it is up to us to fight the good fight, to uphold principles of love and peace and compassion. I still desperately want to believe in the inherent good of people. I want to see the world become a better place. In light of everything that is occurring I find myself asking, who are we now? What can we do to bring the best of ourselves to the fore? I believe in humanity. We are better than the fearmongering that surrounds us. So let’s be better. 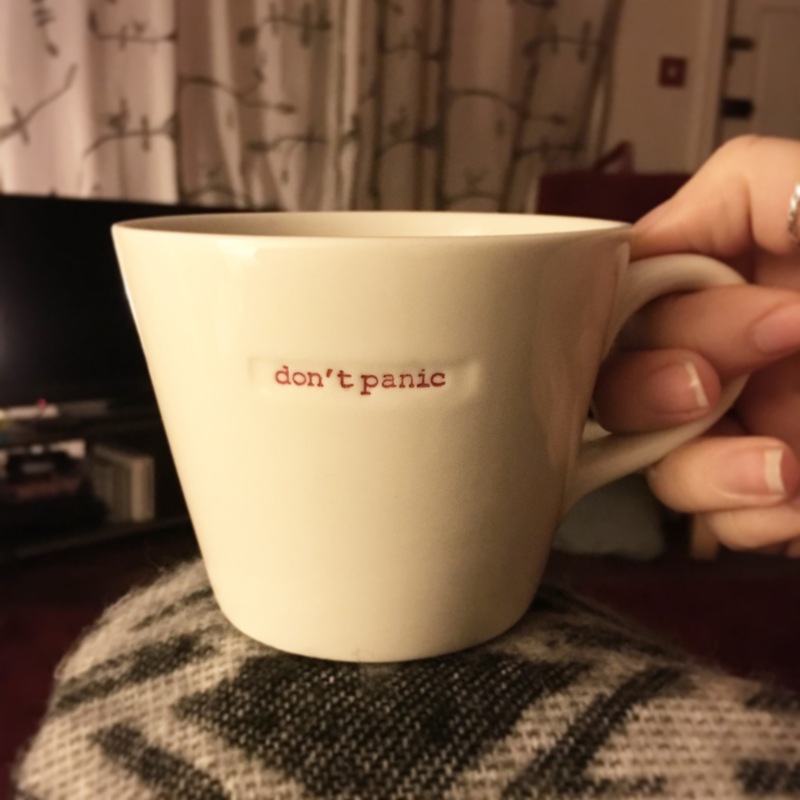 I urge you to remember Douglas Adams’ big friendly letters: DON’T PANIC. And don’t forget your towel.